It seems like my mojo is working again! 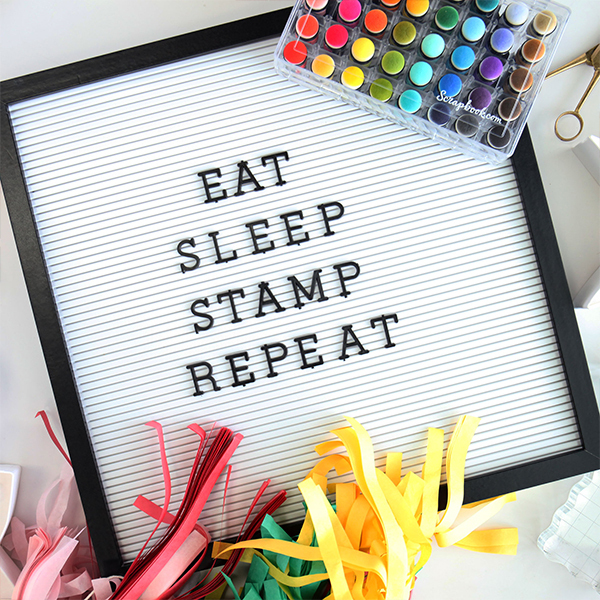 I grabbed Simon Says Stamp Amazing, the stamp set that came in their March 2018 kit to make a quick card. GOJUS! I used Lemon Zest, Melon, Jellybean, Teeny Bikini, and Hot Mama inks to create this fun background. I love this kind of set because there are so many things you can do with it, and it also comes with many sentiments. I stamped the sentiment with Intense Black over top and accented the word “Fantastic” with with my favorite Sakura Stardust pen. I accented the card with some sequins. This would make a great card for a child or a teacher or a coworker! Simon Says Stamp Amazing is a great set, and I highly recommend it! Lovely design. Your card captured my attention the moment I saw it.